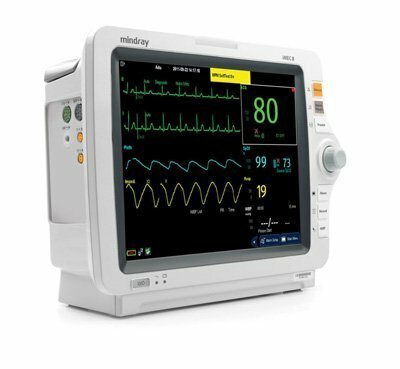 This is a vital signs monitor similar to what is used in medical hospitals. I offer my patients IV sedation so it’s a compulsory piece of equipment for my practice. It also has many other applications beyond monitoring patients under IV sedation. One situation where we use it, other than IV sedation, is when a patient is under nitrous oxide RA. The iMEC can monitor the patient’s heart rate or pulse so you can see when they’re relaxed. It can also monitor oxygen saturation levels so you can ensure they are getting enough oxygen. If a patient is taking blood pressure medication, the iMEC can take a non-invasive blood pressure reading. If I suspect a patient might have sleep apnoea, I can fit them with a pulse oximeter and get an idea of the risk factor. It also has an ECG that will give a good idea of a patient’s condition. Any abnormal readings and I can refer the patient to a GP or a cardiologist. I had one patient who suffered from an ectopic heartbeat. However, every time his doctor tested for it, it wouldn’t happen. When I had the patient hooked up to the iMEC, I also attached the ECG and managed to pick up the problem. I was able to print out the results for the patient to take to his doctor. Like all monitoring systems, there are wires and cables running between the patient and the unit. They can get in the way if you don’t take time to position the machine close to the patient.